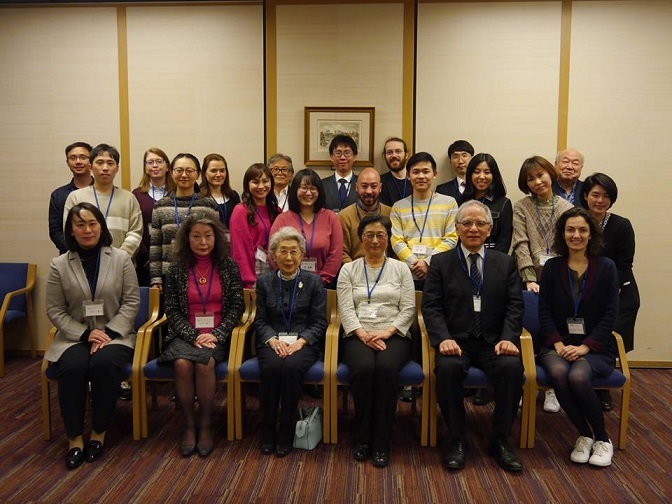 On April 3rd (Wednesday), the first dinner reception with the 2019 scholarship recipients was held at Hibiya Matsumotoro restaurant at Gakushuin University. The executive director (Mrs. Atsumi), Ms. Imanishi, the foundation staff, Raccoon Amelie Corbel (2018), and director Fuji Junichi joined us, and we all enjoyed the beautiful sunset and view of Mt. Fuji as well as the sakura. Welcome to the Atsumi Foundation! We look forward to spending this next year with you!